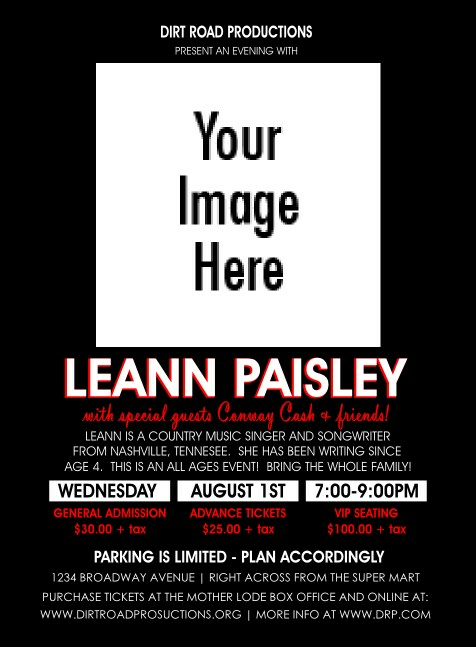 Customize your pre-event advertising to fit your needs when you send out individual Your Photo Concert Black and Red Invitations to your guest list. Each Invitation will feature any image you choose to upload translated elegantly into black and white. Showcase yourself or your band on a black background with classy red and white text. Get exactly what you’re looking for with Custom Invitations from TicketPrinting.com.